Like ecobrug or ecoduct (wildlife crossing). 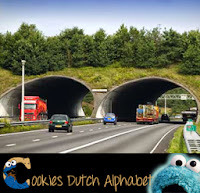 It is a very special bridge especially for wildlife to cross the highways safely. 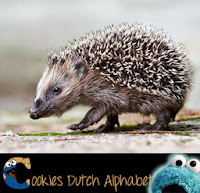 Badgers, deers, foxes and egels (porcupines) can cross the road safely. It takes a while to build an ecoduct because the builders first need to know where the animals cross the roads. They map out all the trails and then build the bridges on the route of the trail. They discovered all kinds of ancient trails that way through the whole of Europe and the Netherlands. It is a very good project. And it looks really cool: a little forest on top of the freeway! O and there is also food that starts with an e, like erwtensoup (pea soup, but different!). 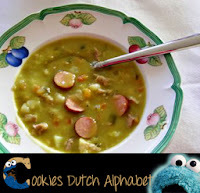 A Dutch winter specialty made with sausage, peas and special kind of turnip. And ei (egg) starts with an e. You can make all kinds of delicious things with eggs. 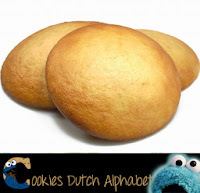 Like eierkoek (egg biscuits). It is kind of a breadlike cookie. It is quite nice. 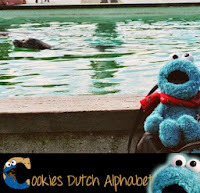 Last but not least there are some nice places in the Netherlands starting with an e that me have visited. To start with Ecomare on the island Texel. Ecomare is an educational (boy, hard word) centre with all kinds of cool stuff and information about the North Sea and Waddenzee. Also it is a hospital for seals and seabirds. Some seals live at Ecomare permanently (amongst other sea creatures). Me visited a long time ago. It was fun! Also you can walk in the dunes (duinen, me forgot that word last week). The other fun place me love to visit is the Efteling! Me love it there. 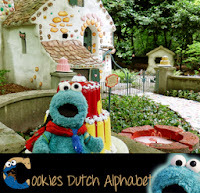 Me can nibble at the witches house in the Fairytale Forest, go on a train ride, visit Little Red Riding Hood (hoping she will give me cookies) and go on a magical Arabic waterboat tour. And me loves Joki’s Pretneuzen Festival (Joki’s Funnoses Carnival), it is like Disney’s it’s a small world. Me feel like walking in a storybook all day! If you ever get the chance, just go. You will love it too. The park also has rollercoasters and a bit rocking ship for everyone who feels adventurous. Well letter E was fun and very divers. But me will like the yummy letter F too! O and if you want to read the other letters again, just click on the little images on the left! encourage you continue your great job, have a nice morning! Hi! Thank you for the very kind words. Me hope you will enjoy me blog. 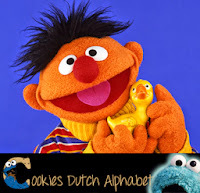 Me have a whole alphabet for you to explore, so feel free to learn more about the Netherlands.